By Injae Kang | April 10, 2019. 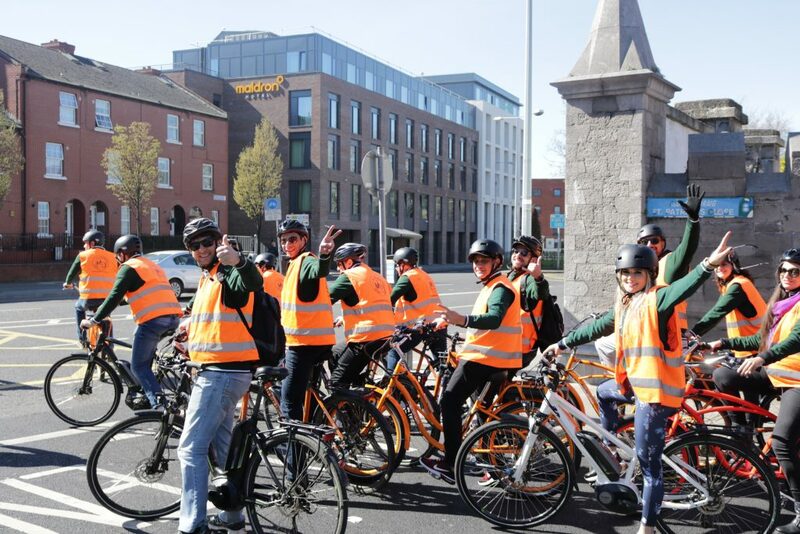 A group of enthusiastic bikers on the guided tour in Dublin City. Spring is here and as the temperatures are starting to warm-up, that may have you thinking about getting ready for outdoor activities. Three times a day, around 20-30 people gather in Temple bar to enjoy a fully guided tour with Lazy Bike Tours, now in its 4th year. With a mixture of interesting stories of Dublin and cycling, not only tourists but also native Dubliners can enjoy the two-hour bike tour to learn more about the locality and the city in which they live in. The tour circles through several stops which is starts in Temple Bar and goes to some of the popular tourist attractions in Dublin.